Cain’s greatness and importance is not to be found in the lies of his heritage but in the divine blessing given on his brow, which can be equated with a particular form for instant awakening. Cain’s awakening was the realization of his role in the world, a great task given to him as he realized who he was, whose blood pounded with purpose in his soul. In Cain a particular blood was found and this blood is popularly referred to as ‘witch blood’. The blood and the realization of one’s Fate mirror each other and for Cain his Fate was to be absence manifested. He had to be to one who marked the other and the one who moved and transformed the stillness of beginning so the world could have motion. By the first sacrifice, by blood flooding the earth the divine plan could be exacted. It is written that upon the first murder/sacrifice Cain was marked by god in a way that recalls how we mark stars in matter to be carried as talismans and amulets. We also read in bereshit – or Genesis, of you prefer, that Cain was in ‘the field’ with his brother – this might indicate that the two brothers were somewhere with Abel’s sister and Cain’s wife, Calmena – partaking in this ‘field’ when the angelic fire ignited the Cainite seed… I shall let this mystery rest for now and give attention to the consequence, namely the mark. Ayin, which in modern magical correspondences has been associated with The Devil of the tarot, has also been given the sign of Capricorn in the zodiac, the horned goat, intercessor between worlds and fertilizer of the lands. Yud, which is the seed or spark of beginning, the creative potential itself, often associated with the sign of Virgo – being mercurial and also because the sign carry an innocence that hides the shame of the soul – and the tarot card of the Hermit, the lone sojourn in the lands of exile. 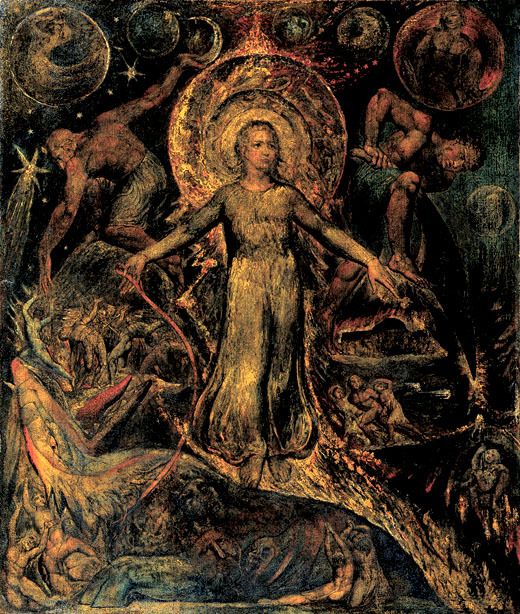 Shin is last, which is fire, and also associated with the tarot card of judgment or apocalypse and revelation. It is a letter used as a prefix of female gender referring to cause or other (ness). In this the letter brands itself upon the bridge of invisible fires leading to the perfection of Seth. In this we find the number 380 – which is Ayish, the Hebrew name for the constellation of Ursa Major or Big dipper, hence we see that Cain was marked by the pole star. Hence the spiritual North was given to him – and he became its sign and symbol. The branding led to Cain becoming a fugitive under divine protection; hence he was haunted by ‘araphel’ – or ‘darkness’ and ‘gloom’, which also adds to 380. This number also gives us Mitzraim or ‘Egypt’, Mishle or ‘proverbs’ – and is also giving us the Goetic spirit Flauros/Haures. 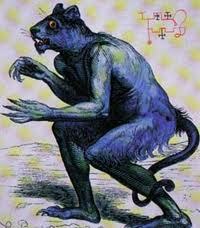 This spirit is quite interesting given that he appears as a feline (leopard) and is said to be generally fiery and drenched in flames. It is stressed that he is a Liar at heart who kills the enemies of the exorcist if they make a pact/bond and that he possess knowledge about the creation and the fall.